Disclaimer: I have written this post based on my experience here as a teacher for the past six years, and based on conversations with students over the years. In no way do I claim to be an expert on any of these issues, and I certainly don't believe that everything is corrupt in the educational system—I'm simply arguing that there is corruption, and how it undeniably does harm many students. Please don't slam me with hateful comments! "So you've got a leak of answers for the ЕГЭ?" While simply looking for images to include in this post, I came upon a site selling the answers to the English exam on the day of the test, posted through "vkontakte," the Russian version of Facebook, to which pretty much every Russian student belongs. It cost $300 to download the answers there, but the answers were widely available elsewhere for free. As one student lamented in the comments, "Hey, guys, I'm on a budget! Where can I get the answers for cheaper?" How the exam is looking more and more in reality... Translation: "Tuition-Based University: 'Can you pay the whole sum (of your entrance bribe) right away?' 'OK!' 'Your OK is more important to us then your Unified National Exam results..."
Can you imagine if this happened in the US or UK? It was national—heck, global—news for over a year after students in one introductory course were accused of cheating at Harvard last year... 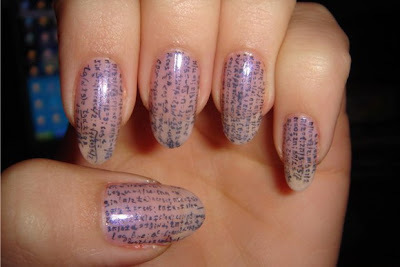 If cheating had taken place by students ALL OVER THE COUNTRY on the SAT exams, our country would be thrown upside down! And, last but not least, if you have any record of having committed academic dishonesty, your high school is required to report it (which they actually do) and it seriously influences your chances of university acceptance. Students know this when they enter 9th grade, and they are hard-pressed to risk their entire futures by cheating. A mistake made in the early years of high school for which one is extremely contrite can be overlooked in cases, but not having been actually caught cheating in one's senior year—and certainly not trying to cheat on the admissions process itself. Here? Well, to be fair, university acceptance is not only based on EГЭ exams. If applicants appear equal on paper (EГЭ results), then more attention is given to high school grades. The most selective universities also have their own very difficult entrance exams which one must pass once making the cut based on the ЕГЭ results. Students do also complete a file for admissions where they mention other successes/activities in high school, but they don't write actual essays as required in the USA, and no recommendations are written which address character, etc. When exams are oral, students are given a chance to present themselves in some ways as they could at an interview in the USA—but not always, especially when they must stick to the topic and they are in and out since a long line of other applicants are waiting. As a teacher, I find it extremely frustrating to have to "teach to the test" since it has such important consequences on the futures of my students staying in Russia. They must do well on it in order to get into the universities of their choice. But is the exam a true indicator of their knowledge of English? No. First of all, the ГИА (9th Grade) and ЕГЭ exams contain multiple grammatical errors each year, some which can make it hard to discern a proper answer. Other questions elude native speakers, since one could argue that more than one answer is correct. (Even the creators of the test have acknowledged that the more fluent a student is, the harder the test can be). 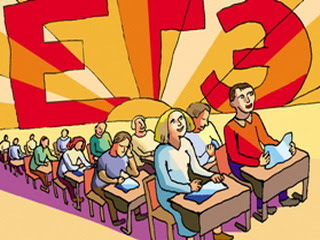 Furthermore, a quarter of the grade is decided by how the students write a letter and essay according to the format decided upon by the creator of the exam—but the letter format is laughable once more advanced and the essay format is not one widely used in any native English-speaking countries. Instead of actually developing a thesis statement and one's ideas, one must plow through the format, paying attention to follow the rules. There is little space left for deep thought or creativity. To think that this exam is the basis of how my students are judged is extremely frustrating. What about how they can argue points of literary interpretation in The Crucible, To Kill a Mockingbird, Fahrenheit 451, or The Catcher in the Rye? 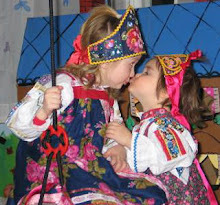 What about their vocabulary development based on TOEFL and SAT words? To lose points on a multiple choice test because they run across an idiom (usually British) they had never heard of—when they might know many others (often American) which convey the same meaning—seems so wrong. Last, but not last, there is no oral part of the exam—so my students who can all fluently discuss pretty much any topic I could bring up in class have no chance to show what they are truly capable of when using English. (Each year the hope is to include an oral part, but it will cost a great deal to implement—and a whole new level of possible corruption in grading then presents itself). Unfortunately, however, even once universities start to dig deeper when making admissions decisions, the process is far from transparent as it continues on campuses. Many universities have a reserved number of spots ("na budzhetye") for the most talented applicants; these places are awarded regardless of financial need, and they allow the applicant to attend university for free, assuming continued academic success. The rest of the freshman class is then made up of paying students. 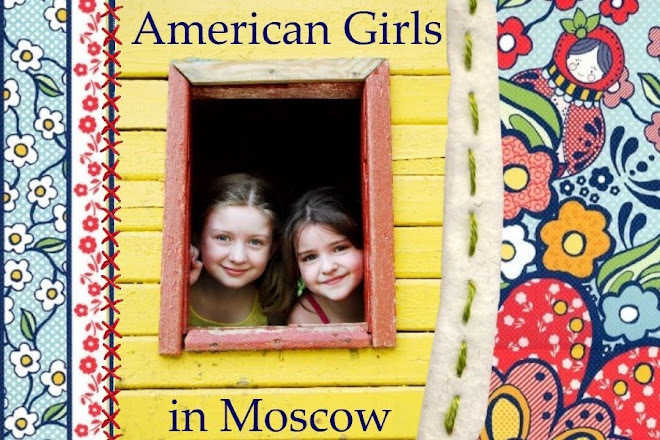 Tuition at MGIMO and MGU, the two best-known universities in Moscow (and Russia) ranges from $4,600 to $17,666 per year (costs are higher for majors such as law and economics), rather pricy for families making the national average of $600 to $1,000 per month. Actual costs paid by families, however, can often be significantly higher, and this is where the waters get a bit murkier. Applicants from Moscow often begin taking "preparatory classes" offered by the departments in which they want to study starting in their second-to-last year of high school. These courses do give them a chance to check out the programs, meet professors and prepare for entrance exams—but they are also often a way to grease the palms of those involved in deciding who is accepted. Students whose families can't afford such lessons are at a disadvantage, as are students whose distant hometowns preclude them from attending. I, however, will never forget one of my fifteen-year-old students here bursting into tears at the beginning of her Junior Year—not because her family couldn't afford to pay for any extra courses or bribes—which they probably could not—but because she was only fifteen and she didn't yet know what she wanted to do in life! She was good in everything, but not passionate about any particular subject to the exclusion of others—i.e. the quintessential liberal arts applicant to a US university or college. Students here, however, have to basically decide on a major at least a year and half before graduation when they start the preparatory courses, and they're locked into this program of study since university admissions are to a specific department. 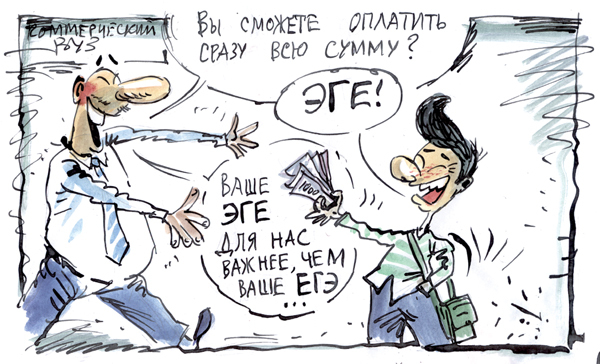 Furthermore, rumors are rampant, and accepted as simple fact, of some parents bribing their children's way into universities—in addition to their succeeding at "fixing" scores on the ЕГЭ or on exams once their children are enrolled in universities. A former professor of mine who teaches in a PhD program in the Humanities at an Ivy League university (one of the top 10 universities in the USA) lamented how many students from China, Russia and India run into serious problems with issues of Academic Dishonesty each year... They truly don't believe it when they're told that there is zero tolerance of cheating (mainly plagiarism), since such admonitions have never actually meant anything in their home countries. After years of having to occasionally expel students, much to their chagrin, they started approaching orientation on the Honor Code differently for those from these countries, and they try to be as accommodating as possible of first-time offenders... Attitudes about cheating—about it being OK and inevitable—are just too engrained. With so many students cheating, general attitudes are that you're foolish not to if you can—since "everyone else is." A handful of my students each year head off to boarding schools or universities in the USA and UK, and I do my best to prepare them for what Honor Codes mean at schools in these countries. This year we spent a week looking at how they work at an assortment of high schools and colleges, examining student attitudes about them and how—and why—peer honor courts work. They understood what we talked about—but when it came to discussing the cheating in general in Russia, it just didn't seem to be the same situation. After all, "this is Russia..."
A girl I know who attended one of the most prestigious public schools in Russia (think Stuyvesant in NYC, but specialized in English) was frustrated this week because pretty much all of her classmates looked at the exams beforehand, and by not cheating, her results and those of others who took the exams honestly will possibly be lower than those of dishonest students with photographic memories—or than those of students who have managed to use their cell phones throughout exams by taking up to EIGHT bathroom breaks and surfing for answers while in the stalls... In a nutshell, it's simply not fair. This girl is headed to Northwestern University, so she went through the rigorous USA application process and has every reason to be proud of her acceptance—but it makes her sick to think of classmates whose university acceptances will be tainted by others' cheating and bribery, with no chance for their character to shine through. Other Moscow English teachers I know from a local online forum lamented the situation, and one even recounted how a teacher of another subject sent an SMS the night before the exam with a link to the answers—and a little message saying, "Shhh!" What message are students getting when their TEACHERS who spent the whole year forced to "teach to the test" end up helping them to cheat? On June 6th, Putin, "tired of the scandal," called an emergency meeting at the Kremlin of officials involved with education and the exams. He said that officials from regions with notably high results would likely be called in for questioning, since uncharacteristically high scores from otherwise low-performing schools raise red flags. 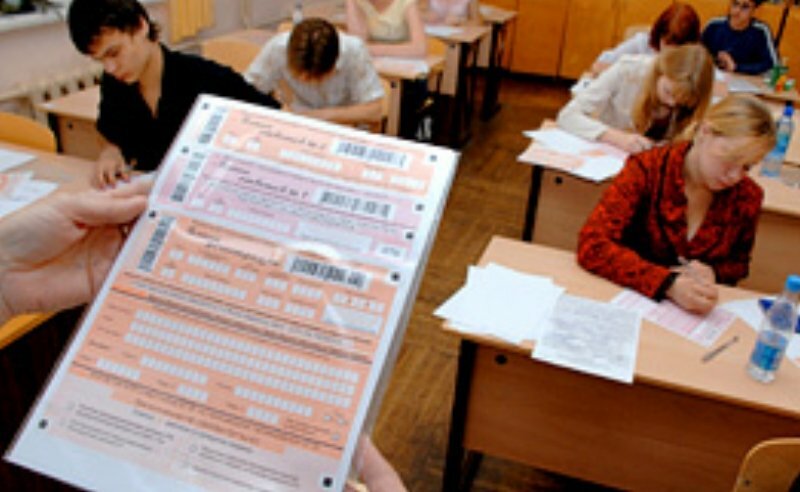 A representative of the Duma Committee on Education, and a member of the "Fair Russia" party, Victor Shudegov, however, addressed the scandal much more succinctly and truthfully: "There will continue to be scandals surrounding the United State Exams until they are replaced... The biggest 'minus' these days is that students spend their time thinking about how to deceive the Ministry of Education, while the Ministry spends its time devoted to tricking students..." (New Politics, Internet Magazine). That same day, the Minister of Education went on the offensive, claiming that all answers to the exams found online are in fact false, even the ones only accessible by payment. (New Politics, Internet Magazine). This allegation, however, is patently incorrect since one can SEE the copies of actual exam pages on the internet. Of course some of the sources have provided false information, but then again, cheater beware... 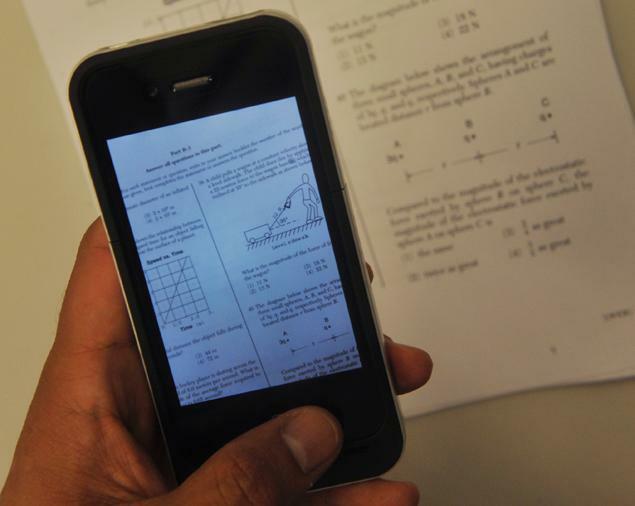 Some cheating occurred since students in the Far Eastern time zones of Russia posted exam questions when they finished—at 4 a.m. local Moscow time. Other cheating involved the actual leaking of exam files which were reportedly stolen from a top Education Ministry official's email. Some colleagues today reported that the whole scandal has roots in political intrigue... Supposedly Putin wants to replace the Minister of Education, so the exams and keys could have been leaked to discredit him. Others argued that the whole system is so corrupt that anything can happen, and there might not be a "larger" answer simply than some small person looking to profit. Whatever the answer, this scandal goes far beyond some exams. It represents problems festering in society, and just how important it is for individuals to not look the other way, taking a stand when presented with the chance to do what's right. Sadly, or, well, wonderfully?—one of my students stood up to her mom (who was only worried that her daughter wouldn't have a fair chance against cheating peers) when she couldn't understand why she wasn't looking at the exam answers online, wanting instead to see how she could do on her own. Very sad. Hopefully changes will be made and enforced. Very discouraging for the students that do not cheat (and I am sure there are many of those). We know how strict the honor code is here in our schools, colleges and universities. Also, chatting with a Russian friend, who got a degree from Moscow University in some area science, I was amazed when she laughed about how she "passed" or orals by flirting her way through it, and indicated that she got through her whole college education via such means. Sad state of affairs for sure. It's a creeping, insidious situation that appears to be overtaking the world not just Russian education. I'm praying that honesty is the best policy wins! Oh my God! It's really absurd!